A comedian with no political experience who plays a character on TV who unexpectedly becomes president has taken a commanding lead in the first round of Ukraine’s presidential elections. With over 80 percent of votes counted on Monday, actor and stand-up comedian Volodymr Zelenskiy received about 30 percent of the vote, far ahead of incumbent President Petro Poroshenko, who garnered just over 16 percent. The closest challenger to either candidate, former Prime Minister Yulia Tymoshenko, trailed at around 13 percent of the vote. No candidate was set to win more than 50 percent, and Ukraine's election commission announced that a run-off between Poroshenko and Zelenskiy would take place on April 21. Zelenskiy, who campaigned on a promise of change and tough anti-corruption measures, has ridden a wave of discontent with Ukraine's political establishment, still viewed as deeply corrupt by voters five years after the country's 2014 revolution. Both Poroshenko and Tymoshenko have been fixtures in Ukrainian politics for years. Ukrainian president Petro Poroshenko is seen voting in the first round of the presidential elections at the Officer's Club in Kyiv, Ukraine, March 31, 2019. Zelenskiy’s campaign has blurred the lines between fiction and reality. His character in the television show "Servant of the People," is a schoolteacher suddenly catapulted to the presidency after a rant he makes against corrupt politicians goes viral. His real-life campaign has run on the same message, tapping into voters' desire for a political shake-up, though he has given very few details on policy proposals. Speaking at his campaign headquarters after the exit poll, Zelenskiy told supporters, "I would like to say 'thank you' to all the Ukrainians who did not vote just for fun." "It is only the beginning -- we will not relax," he said, according to Reuters. Based on Sunday's results, Poroshenko, a confectionery tycoon nicknamed "The Chocolate King," will face a tough challenge to stop Zelenskiy. Poroshenko came to power on the back of the mass protests in 2014, and has led the country during its war in the east and separatist rebels directed by Russia. Poroshenko has had successes, including rebuilding Ukraine's shambolic military and maintaining Western support in the face of the country’s conflict with Russia. He has also kept an International Monetary Fund bailout that has supported the country's battered economy. But Poroshenko has become deeply unpopular, viewed by many Ukrainians as having failed to tackle corruption or to overhaul a state bureaucracy that is viewed as living at the expense of ordinary people. On Sunday, Poroshenko said he had taken note of the criticism implied in the vote, calling it a "severe lesson." "You see changes in the country, but want them to be quicker, deeper and of higher quality. I have understood the motives behind your protest," Poroshenko told supporters in Kiev. Poroshenko ran a campaign heavily focused on traditional, patriotic themes and the conflict with Russia, portraying the vote as a choice between him and Russian President Vladimir Putin. Critics of Zelenskiy have expressed worries about his lack of experience and his connection to Ihor Kolomoisky, one of Ukraine's most controversial oligarchs, who owns the television channel 1+1, which broadcasts Zelesnkiy's show. 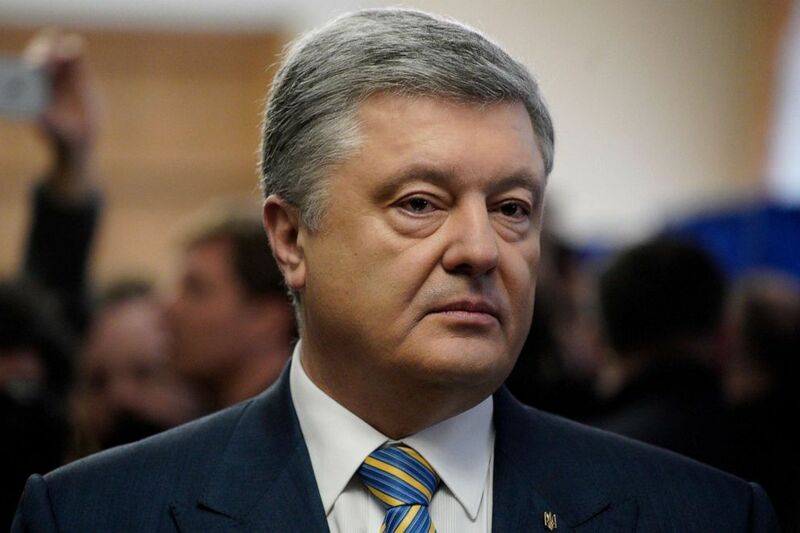 Poroshenko on Sunday called Zelenskiy's "Kolomoisky's puppet," and said an inexperienced new president would be a gift to Putin. Neither Poroshenko nor Zelenskiy are looking to turn Ukraine away from the pro-Western course it has taken since 2014 and back toward Russia's orbit. Zelenskiy has said he would seek direct negotiations with Russia to try to end the war in the east, which has killed 13,000 people since 2014. Criticism of his inexperience and his ties to Kolomoisky have so far failed to overcome Zelenskiy's attractiveness as someone outside the present political elite. He has also won over many of the activists and pro-Western reformers who took a prominent role following 2014's protests and who have grown disillusioned with Poroshenko. Aivaras Abromavicius, a former economy minister who resigned from Poroshenko's government in protest of systemic corruption, and Oleksandr Danylyuk, a former finance minister, have been seeking to advise Zelenskiy. Ahead of Sunday, Abromavicius told ABC News that he believed Zelenskiy could be a "platform" for the type of reformers he favored. Ukraine's election commission said the vote on Sunday was free and fair, though it was marred by reports of violations. Police said they had received more than 2,100 complaints of violations on voting day alone, the Associated Press reported, in addition to hundreds of earlier voting fraud claims, including bribery attempts and the removing of ballots from polling places.